Don't dream of a great performance, train for it! 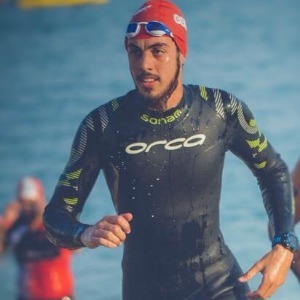 Designed for the INTERMEDIATE triathlete, this 6-week structured base plan designed by Coach Yousif Alhajery, will Improve your base fitness and allow you to compete as soon as 6 weeks. 1. Three workouts per discipline each week averaging 7hrs weekly. 2. Time efficient quality aerobic workouts that are designed to maximize training stimulus and boost your base fitness without spending hours and hours swim/bike/running. 3. One rest day per week. ⬥ continue to work through each 1 minute step and stop when you can no longer produce the required power. ⬥ ex-club swimmer & self-coached runner and triathlete since 2011. ⬥ Every day reader & fascinated in topics of endurance training & triathlon.